Download Simple Sabotage Field Manual ebook. 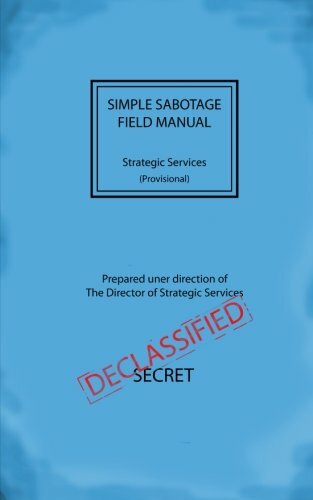 This Simple Sabotage Field Manual Strategic Services (Provisional) is published for the information and guidance of all concerned and will be used as the basic doctrine for Strategic Services training for this subject. The contents of this Manual should be carefully controlled and should not be allowed to come into unauthorized hands. The instructions may be placed in separate pamphlets or leaflets according to categories of operations but should be distributed with care and not broadly. They should be used as a basis of radio broadcasts only for local and special cases and as directed by the theater commander. AR 380-5, pertaining to handling of secret documents, will be complied with in the handling of this Manual. I downloaded this for my Kindle for two reason: it had an intriguing title, and the price was right (free). 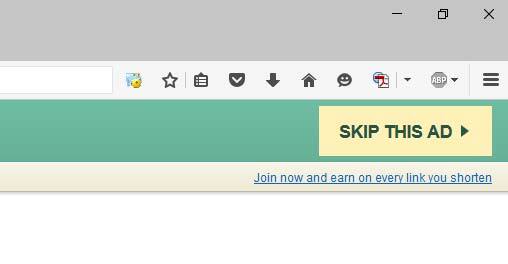 Unfortunately, nobody had reviewed it yet, so I wasn’t sure was I was in for, but hey, free, right? So you cheapwads out there like myself… it’s short and fun, if you’re in the mood. It appears to be a WWII-vintage text, pre-D-Day, very likely written for a UK-educated citizens (the use of the word “charwoman” was my clue). It’s a kind of generalized “how-to” manual for sabotage of enemy infrastructure, general enough to be applicable almost anywhere/when, but with enough specifics to be useful (for example, sugar will wreck an internal combustion engine, but honey and molasses work too). Particularly intriguing to me weren’t the technical suggestions (those were good too), but the social ones. Throughout the work, the would-be saboteur is encouraged to slack invisibly wherever possible, to make use of things like deliberate poor maintenance and insisting on micromanagement. Especially funny was the part advising workers to form and/or join as many committees as possible, as they present great opportunities to use bureaucracy against itself.